Veteran Hearon's (Life Estates; Footprints; Owning Jolene; etc.) 16th novel is a compassionate, gently ironic tale of the choices two Texas women make in rebellion and deference to their mother. The chatty narrative style belies the author's deeply wise perspective, succeeding in lifting a familiar themeD""middle-aged woman gets a second chance at love""Dloftily above its usual treatment. Older sister Terrell was always the favorite of her domineering mother, Agatha, keeping up appearances in deference to Agatha's obsessions with elegance and etiquette, marrying lawyer Rufus ""Red"" Hall, building an impressive house by a lake and never relaxing propriety. Ella, the narrator and younger sister, is living in squalor in Old Metairie, La., with her precocious teenage daughter, Birdie, hiding from her mother the fact that she waters houseplants for a living. 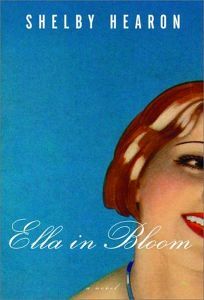 Having run off with a scoundrel as a teenager, Ella is only partially restored to Agatha's good graces by early widowhood and Terrell's accidental death. Ella dreads the family reunion in Austin, Tex., for Agatha's birthday, but when Ella and widower Red rekindle their youthful affection, even Birdie and her cousins, Red's two sons, Borden and Bailey, approve of their middle-aged parents' emotional healing. Of course, secrets must be uncovered first. Though this is clearly a woman's story, the three generations of men prove sympathetic characters. If the secrets rarely seem surprising and the guilt they create appear disproportionate to contemporary mores, that only adds to the humanity of the story. As Ella redefines herself and what it is to be a family, Hearon celebrates thoughtfulness and the wisdome of getting on with life. (Jan. 9) Forecast: Hearon has mastered the trick of weaving a compelling story from common life crises. She's earned readers' affection and respect with previous novels; if this one piques booksellers' interestDand with a 50,000 first printing, it shouldDit could be her breakthrough into major sales.